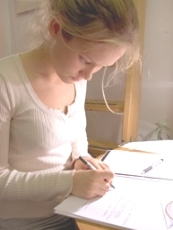 In most subjects, understanding and answering essay questions is a key academic skill. At an advanced level of study, this requires not merely the description or repetition of knowledge itself, but the analysis, evaluation and interpretation of knowledge. If you do not fully understand the question however, you cannot make a full and appropriate response to it and so will not achieve the highest marks. Therefore, interpreting questions correctly is extremely important. Use this list of question types as a starting point to help you understand and answer questions that you encounter in exams and assessed coursework. Top tip: whenever possible talk to tutors and fellow students to help clarify your understanding. Demonstrate your ability and command of the subject by being able to identify and explain matters in response to the question. Close examination of the various factors, and perceptive observations are prerequisites for the analytical essay. Make certain matters easier to understand through a logical process of explanation. Make informed comments about a particular issue, factor or event. Examine in order to identify similarities and differences issues, factors or ideas. Consider the merits of a particular topic to produce an answer which is thoughtful and insightful. Discuss elements of an issue or topic in order to illustrate their differences. Examine an issue critically, giving evidence to support your opinion. Test whether a particular (often controversial) term or concept has been understood. Define is usually linked to another instruction, for example, ‘briefly define what you mean by the term … and explain the significance of…’ . Great care should be taken with this instruction if it occurs at advanced level, particularly if it is not linked to another instruction. By itself, it merely invites a recitation of facts; if this is the case, carefully consider the whole question. Examine the stated aspects of a subject (often two sides) and weigh their relative merits. This involves presenting evidence, arguments and to a certain extent personal opinion. This is often used in the first part of a question or instruction to obtain a clearer picture of two or more issues. This calls for an examination of the merits of a particular issue or position and, consequently, reaching a considered judgement. Conduct a logical, detailed analysis of an issue or case, highlighting elements such as cause and effect. Clarify or account for something by selecting details you feel are important. arguments made, evidence offered and your final position made clear. Make out a case for a particular point of view. The use of evidence and strong argument is essential. Give the main features of a topic or case briefly, but clearly. Bring together the main points without going into detail or giving examples. This is really helpful for everyone who needs help breaking down what the essay question is really asking.